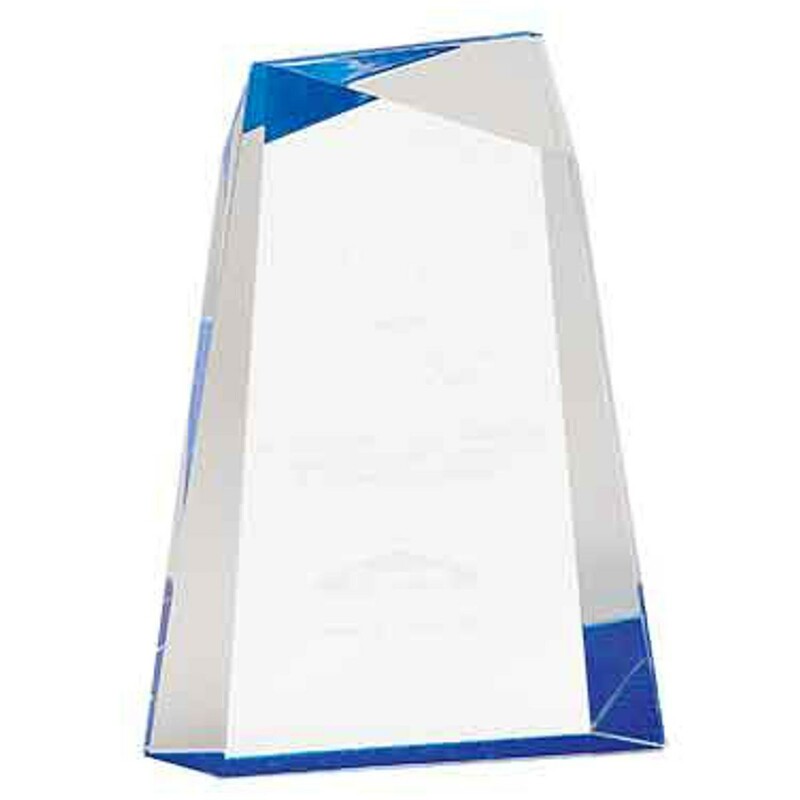 Our Blue Wedge Pinnacle Acrylic Awards give grand recognition for the ultimate achievement! 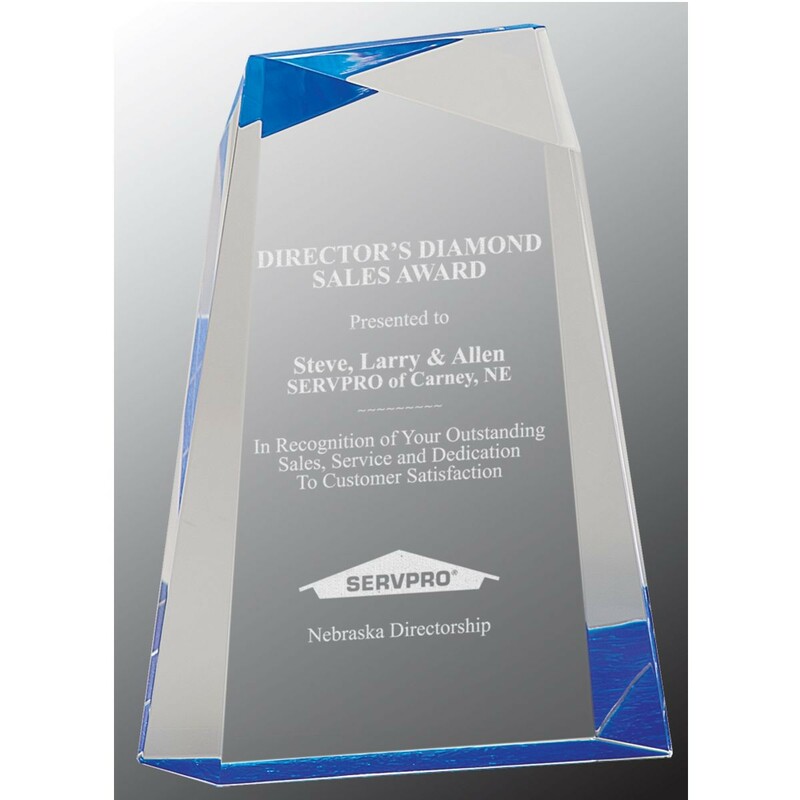 Made of clear acrylic, these sturdy engraved awards feature beveled edges and a multi-faceted pinnacle wedge-shaped top. 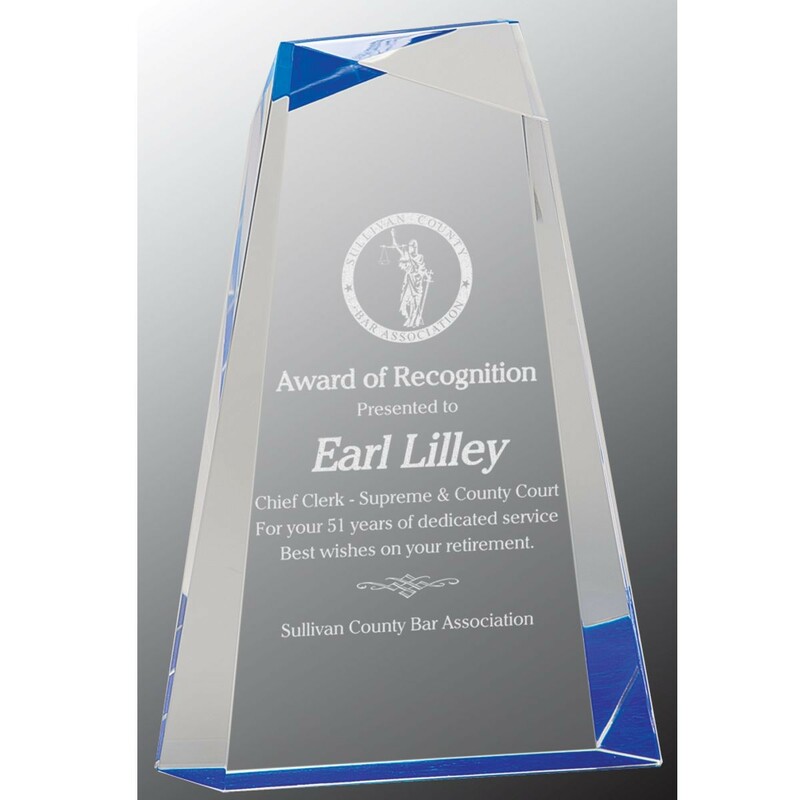 In your choice of 3 sizes, the beautiful blue bottom shines through the acrylic award, highlighting the FREE personalized etching! 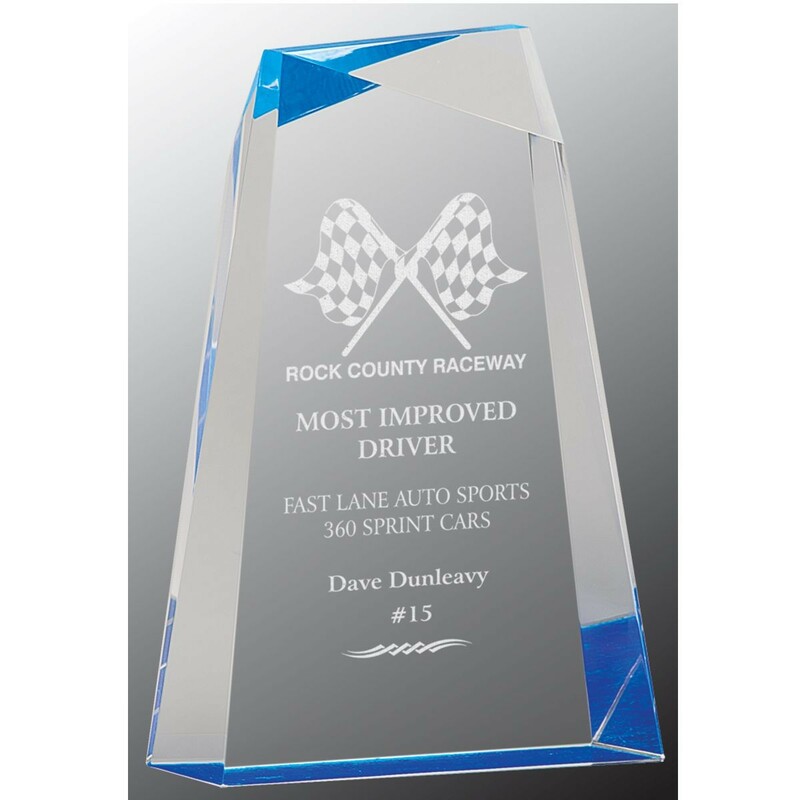 Small: 7", Medium: 8", Large: 9"
Small: 6"x3", Medium 6.75"x3", Large: 7.75"x3.25"